The plate was made in England by W. H. Grindley & Co. after 1954. It was brought to Australia for use at the Quarantine Station. As the plate is made of good quality ceramic it was probably used by First and Second Class passengers who were under quarantine. It is historically significant because of its association with the North Head Quarantine Station and the people connected to it. The Station is the longest continually operating Quarantine Station in Australia. The plate shows the quality of life that was provided to the upper classes under quarantine because this plate was used on a daily basis at meal times. The plate is also historically significant because it demonstrates the class definitions that were present at the Station. From 1873 the Stations’ precinct boundaries reflected the class definitions that operated aboard the passenger ships. This was also reflected in the architectural design, furnishings, cutlery and crockery used on site. Third Class and Steerage passengers would not have used this plate because they were given basic enamel wares to use while the upper classes used ceramics, with the very finest being reserved for First Class. The fact that the lower classes were not given access to this type of dinning ware clearly illustrates that the operation of a class system was in place. Aesthetically, this object is significant because of its beauty and craftsmanship. 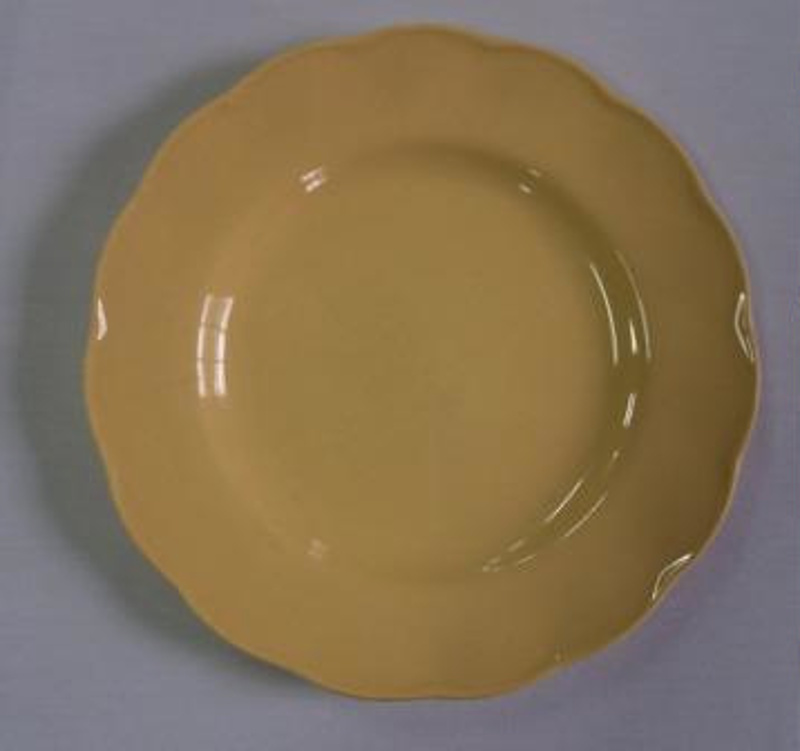 The even distribution of the yellow colour throughout the plate and the highly glazed finish makes it appealing to the eye. The smooth finish of the surfaces and the detail of the scalloped edge show a high level of skill and craftsmanship were involved in its manufacture. The plate has social significance to the community of former employees, resident and internees of the Station. It is important to them because it is a reminder of the time they spent at the station and the experiences they had whilst there. It is representative of its type of design, the “Petal Ware” series made by W. H. Grindley & Co. It maintains interpretive value as it gives information on the lifestyles experienced by the upper classes and demonstrates the presence of a class definition system at the Station.